“When you wish upon a star” resounds over the ship as everyone sings and dances during the sail away party to signal your high seas adventure is about to begin! That’s the first of many magical moments on a Disney Cruise. My family and I are about to embark on our fourth cruise ( 7 night Western Caribbean aboard the Fantasy). 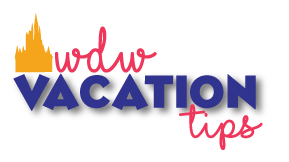 So today I’m sharing my favorite Disney Cruise family tips for first-time cruisers as well as the veterans! When you have selected your cruise, do a quick Facebook group search with your sailing date and ship name. Usually a year out from said cruise, the group will be created, and that’s where you will sign up for group only activities (Fish Extender, Ornament Exchange, Mixology or Wine Tastings) and “meet” other families. Looking forward to our Mixology for this vacation! My oldest loves to know other kids who are his age, so they can hang in the kids’ club or in the pools. For the teens, a parent usually creates a text chat group, so they can make their meet-n-greet, etc. On a prior cruise, one family pixie dusted everyone in our Facebook group with individualized buttons. This cruise we are getting special wristbands! The group is also a great place to ask questions and advice from more seasoned sailors. Door decor is VERY popular. All kinds of magnets decorate the stateroom doors. Etsy shops can make custom ones or it’s fun making homemade ones! If making homemade ones, make sure to get THICK magnets otherwise they will not stay on. Fish extender is a secret Santa type gift exchange with a group of 5-10 rooms (depends on how large the sign up is). Each stateroom has a fish hook where you hang your fish extender. My mom is the queen of felt and created ours, but there’s a lot of great Etsy shops that make custom ones. Gifts can be whatever you like whether it’s a for a whole stateroom gift or per person. We decided on gifting custom Disney Cruise water bottles from PoplinFabrication on Etsy for this vacation! Ornament exchanges are commonplace for Holiday sailings, but even still, this upcoming cruise we’re doing one! Similar to the FE, the FB group divides up a block of room and gift one ornament per room. I ordered ours from Amazon over Christmas, but after receiving a lot of amazing handmade ones, I headed to Etsy to find a great shop. EmertsVinyl created these super cute Disney Fantasy ornaments for this exchange! Both sign ups are entirely optional, so don’t worry if one cruise you don’t feel like participating. Unlike Walt Disney World there is no Disney Photopass onboard. Instead, they use https://www.ourcruisephotos.com/. The best bang for your buck (the option I ALWAYS choose) is prepurchasing the memory card to save 15% and get unlimited photos. Make sure to utilize the photographers all over the ship and Castaway Cay. It’s the best time for family photos. Or if you’re like me, those formal night photos look great on our Christmas cards! I always try to take the pictures before dinner and make sure to arrive early to avoid lines. Every person in your traveling party will receive their own. For the little ones, it’s best that the parent holds onto theirs. Keep it on you at all times – it’s how you “pay,” open the stateroom door, get on and off the ship, etc. Depending on the ages in your party, you may want to request the first seating (5:45 pm) or the second seating (8 pm). First seating is excellent for the younger crowd, while the second seating is perfect for elementary age kids and up. Our first cruise, we opted for the second seating and loved the fact that the kids’ club cast members come to take the kids to go play! Talk about a mom win! Make sure to put in a request for the order of restaurants. It’s not guaranteed, but most of our cruises it comes through. Our favorites are Enchanted Garden and Animator’s Palate. We can’t wait to try Tiana’s Place and the new Rapunzel themed restaurant too! With the rotational dining, the wait staff for your table will remain the same the whole trip. It is one of our favorite things about our cruises. They really get to know you, and what your family likes. A must do is the adult only dining at Remy (Dream and Fantasy) and Palo (all ships – dinner and brunch). To this day, Remy is the most fantastic meal (besides Victoria & Albert’s) I have ever eaten. Our dessert had GOLD! This upcoming cruise we will be dining at Remy and Palo (brunch). To say we are excited would be an understatement. Be sure to make the reservations during online check-in! There is a STRICT dress code for each restaurant. Remy mandates that men must wear a jacket (such as a sports, suit or tuxedo jacket), a dress shirt, dress pants/slacks, and shoes are required (ties are optional). Women must wear a cocktail dress, evening dress, pantsuit or skirt/blouse. Because of the dress code, I make our reservation on the same night as the formal night. Palo states that dress pants or slacks and a collared shirt are required for men, and a dress, skirt or pants with a blouse is the standard for women. Men may rent formal wear from https://www.cruiselineformal.com/. My husband did it, and loved it! His tuxedo with shoes just showed up in our room. Babies to non-potty trained toddlers, the nursery is terrific at only $9/hour. Make sure to book the max amount of hours during online check-in, and then more time may be added at check-in onboard. This past cruise, the cast members joked that our daughter just ran the whole place. She had a total blast. Don’t forget both the kids’ clubs and nursery are available during port days, so parents can enjoy the adult only excursions. This trip, my husband and I will be exploring Falmouth, Jamaica while the kiddos stay onboard! Registration for all of the clubs will be during online check-in. Once checked at the port of departure, the kids will be given magic bands to check in and out. For adults picking up children, they will use a secret password (that will be created during online check-in). Honestly, the kids do NOT want to leave and beg to stay. My son through an epic fit on our first cruise when we tried to take him out for our pirate night dinner. Learned that lesson quick, just let them have fun LOL! During Caribbean sailings for one night, the whole ship will turn into a giant pirate ship. All the characters and cast members dress up, as well as, all the restaurants will serve the same Pirates of the Caribbean menu. Dress up! It’s a BLAST! I buy our costumes during the Halloween offseason, so they’re super cheap, or I know other families that enjoy making the pirate costumes. After the first dinner seating, grab a spot to watch Mickey and the gang fight off the pirates out on the main deck. Then NOT to be missed is the pirates’ firework show!! Disney Cruise is the ONLY cruise line that has fireworks! Post fireworks enjoy a pirates’ dance party and special buffet! Disney’s private island is everyone’s favorite! If you’re a fellow runner, head to guest relations to sign up (aka get a ticket) for the Castaway Cay 5k. It’s the only FREE runDisney race! The medal is pretty cute too! Last cruise, I came in tied for second female overall! Kid’s club is open all day on the island, so adults can enjoy Serenity Bay! The adult only side is named Serenity for a reason! Snorkeling is a must do. There’s hidden Mickeys, sunken ships, and SO many fish. The snorkel area is well marked and HUGE! I swear we’ve never seen water that blue. It’s breathtaking! Stop by Mount Rustmore for a great photo, and you’ll be sure to find characters throughout the day there too. When on board make sure to book your Dummy Date, because who can just do one Disney Cruise?! For only $250 down, you have two years to decide on your next cruise. It also entitles you to onboard credit and a discount on the sailing! Our first family cruise was January 2015, and we were instantly hooked. This is the one Disney trip where parents and kids can get their “own” vacation which is AMAZING! Of course, we’re already thinking about the next cruise – Christmas 🙂 I look forward to sharing all the fun once we return! Check out https://disneycruise.disney.go.com/ to find out more information. Are you thinking about a Disney cruise or have more questions?? Post in the comments below!